When it comes to Pharrell, there does not exist one single word to describe him entirely; impressive to say the least, the musician/producer/designer is considered as one of the world’s most influential people in both the fashion and music industries. So it comes as no surprise 2016 started strong for the polymath, first with gaining back full control over at Billionaire Boys Club and ICECREAM – two brands which helped to shape the face of hip-hop in the post-millennial era – to assuming co-ownership of the luxury denim label G-Star RAW. Skateboard P stayed in the news limelight throughout the year with announcements ranging from a partnership with upscale grocery store Dean & DeLuca, receiving his very own Medicom Action Figure, and an upcoming fashion collaboration with French grandeur house Chanel. Staying close to his musical roots, Pharrell also made time to produce tracks for Kid Cudi, score the soundtrack for “Rules of the Game,” make a guest appearance on childhood favorite ‘Sesame Street,’ and teach a “Masterclass” over at NYU. His continual collaboration with adidas saw light to the “Pink Beach” collection and the greatly popular Pharrell Williams x adidas Originals “Hu” collection which features limited edition “Human Race” NMDs and dynamic activewear. Rounding out the year, Pharrell saw continual success of his OTHERtone radio show on Apple’s Beats 1 Radio and unveiled an interactive website that archives over 20 years of his music, style, art, film and philanthropy. 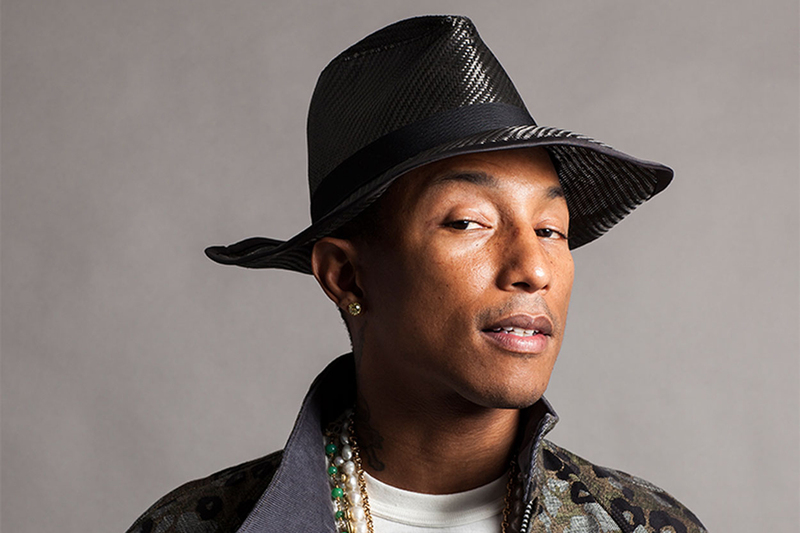 Doesn’t look like Pharrell will be stopping anytime soon.